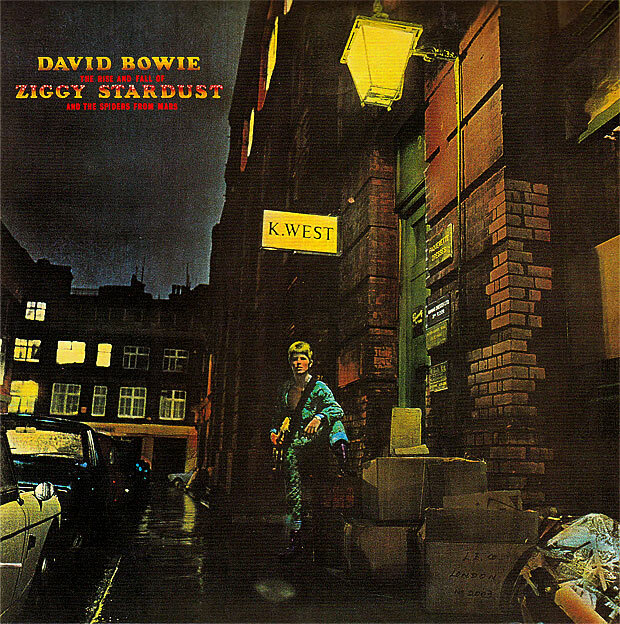 Few records have ever captured the public’s imagination as much as David Bowie’s Ziggy Stardust. It contains probably the strongest set of songs that Bowie’s ever written, is backed by an amazing band, and the sleeve image is one of the most iconic in rock ‘n’ roll history. The shot was taken by photographer Brian Ward on Heddon Street, a surprisingly ordinary central London back road where his studio was based. 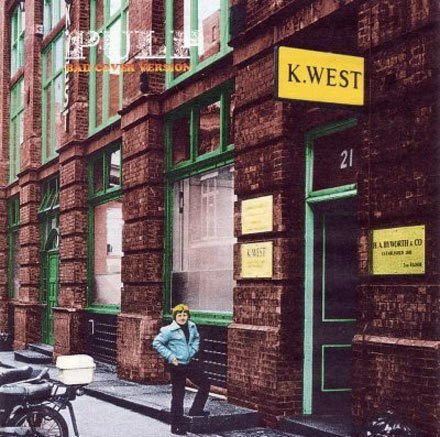 Bowie poses in a green jumpsuit (later coloured blue) under the K West sign on the front cover and then in the phone box for the back. The rest of the band decided not to come due to the bad weather. The sleeve art does a great deal to add to the legendary music. The black and white photo was later colourised, giving it a sci-fi feel perfectly suited to Bowie’s otherworldly alter-ego. The sign could be read as ‘quest’, which is exactly what the Spiders were on in 1972. It’s a wet and stormy night in the photo, while Ziggy sings on the first track, ‘It was cold and it rained and I felt like an actor.’ But is it Ziggy or Bowie we’re looking at in the picture? Ziggy ‘played it left-hand’ but this guy has his guitar in his right hand. Heddon Street is surely the quintessential landmark for Bowie fans in the same way that Abbey Road is for the Beatles. But I couldn’t help feeling a slight anti-climax when I went there as a boy. Neither Mick Ronson nor Trevor Bolder strolled by in platforms to give me a high five, and the K West sign had already been ‘repurposed’ by a fan in the early Eighties. Nonetheless, thousands came here to pose for photos, including Pulp’s guitarist Mark Webber. His smiling 13 year-old self can be seen on the sleeve of the band’s single ‘Bad Cover Version’, while the telephone box has joined the Tardis and Clark Kent’s changing room in the list of all-time greatest phone booths. Nowadays, Heddon Street has changed almost unrecognisably. It has become part of Regent Street’s swanky food quarter, lined with London hotels and eateries. The fur shop K West is now a Moroccan restaurant with tables and chairs lining the pavement. 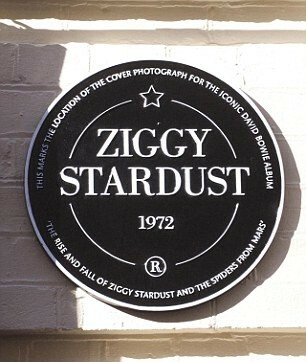 But, fortunately, the spot has recently received a commemorative plaque to mark forty years of Ziggy. Now future generations can remember over their plate of Moroccan lamb that the Starman woz ‘ere. This post was written by Matt Lindley.